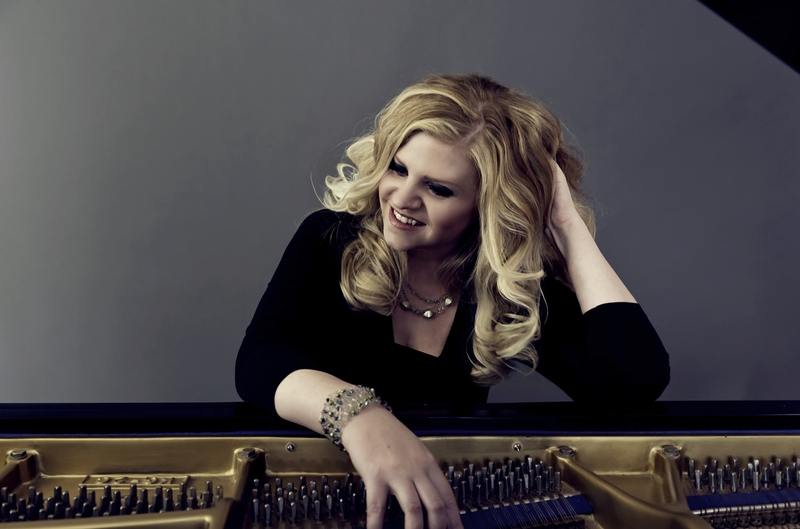 Jennifer Thomas is a classically trained independent pianist, violinist, composer, and recording artist. She was named Classical Crossover UK’s “Top Female Artist of the Year”, won “The Indie Award”, Top 20 Editorial Pick of 2012, “Album of the Year” and “Artist of the Year” at the 2013 IMC Awards, as well won “Best Original Score for Documentary/Short Film” at the 2012 Hollywood Music in Media Awards. Jennifer’s music has been heard on television/film networks such as NBC, CBS, Universal Sports, MGM and much more. With a large following on Pandora, Jennifer Thomas has become a favorite among listeners in the cinematic/classical crossover genre. Jennifer started playing the piano and violin at the age of five under the tutelage of her mother, Carolyn Southworth. She trained Classically at Brigham Young University—Idaho, where she obtained a music degree in Performing Arts/Piano Pedagogy. She won the silver medal in her university‘s concerto competition, performing Prokofiev‘s 3rd Piano Concerto – one of the most technically difficult concertos ever written for the piano. Jennifer has enjoyed many opportunities to perform, including being a featured concerto soloist with Salt Lake City‘s Murray Symphony on the MacDowell Piano Concerto No 2, performing in the Seattle Composer‘s Salon at Benaroya Hall, being a regular featured soloist at Seattle‘s historic Roosevelt Hotel, working with the Seattle Symphony, and performing as a violinist for the Oregon Pro Arte Chamber Orchestra. Jennifer also spent three years as a featured soloist for the Temple Square Concert Series on historic Temple Square in Salt Lake City, Utah. While Jennifer spent many years studying and performing in the world of classical music, she didn‘t start composing her own original music until her late twenties. Combining her classical background and her love for cinematic music, she managed to merge the two styles and create a “Classical Crossover” sound that is not only emotionally charged, but also technically impressive. Jennifer‘s second album release, The Lullaby Album (2009), came by way of inspiration after the birth of her first child in 2008. The dual-CD album features the talents of Grammy nominated producer/engineer Paul Speer, and Emmy award winning composer Jace Vek. A collaboration with her mother – the album turned out to be a memorable project for the both of them as many of the tracks were songs that Carolyn sung to Jennifer as a child. It was both their goal to create an album of lullabies that adults could enjoy as well as little ones. With beautiful orchestrations on one CD, and solo piano on the other, The Lullaby Album has been a big success with parents everywhere, as well as once again being featured on Kathy Parsons and Michael Debbages‘ “Top 20 of 2009” lists. Jennifer‘s classical/cinematic style of music has continued to captivate filmmakers and audiences with its appearances in film and commercial work. In late 2010, Jennifer composed her first original film score for the film “Minuet” by director/writer Ryan K. McNeal. The film went on to win the Gold Medal of Excellence at the 2011 Park City Film Music Festival for “Best Original Music in a Short Film”. Jennifer also received a nomination for “Best Song” in the Classical/Orchestral genre at the 2011 Hollywood Music in Media Awards for her rendition of Bach’s “Toccata and Fugue (D Minor)”. Thomas’ fourth album, “Winter Symphony” released in November of 2015, and has already charted in the top 10 on iTunes and Amazon, and won “Album of the Year 2015” on music critic Michael Debbage’s Top 2015 List. This new Christmas album features the Ensign Chorus (recorded at Bastyr Cathedral), soprano Felicia Farerre, violinist Taylor Davis, and musicians from The Utah Symphony, Salt Lake City Pops Orchestra, and the Chochin Chamber Orchestra. The orchestration was done by Glen Gabriel. The album includes favorites such as “Silent Night”, “Angels We Have Heard on High”, “Carol of the Bells”, as well as cinematic scores from “Home Alone”, “Edward Scissorhands”, and more.